Should You Buy a Fanless Switch or Switch With Fan? Have you ever been plagued by the noise from network switch? Have you ever considered taking down the fans within the switch but at the same time worrying about the possible damage of overheating to your switch ? Maybe you have already tried many other methods, such as putting the switch in a cabinet in the hope of dampening the noise, but in vain. Don’t be frustrated, all you need is probably a fanless switch. In some occasions, a buzzing sound in a switch may indicate that the switch is going bad. Sizzling, popping or cracking sound when a switch is turned on and off means it is probably defective or worn out. In this situation, when you hear a buzzing switch, you should take it seriously. However, most often, the thing that makes your switch sound like a Death's motorcycle is the fan, or fans considering that most of the switches are equipped with more than one fan. 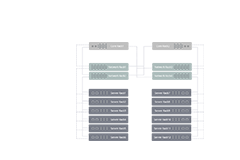 To overcome the noise from fans, silent fanless switches have already been introduced to the public, which have a quiet operation mainly because of the fact that they do not have any fans built into them! Fanless Switch vs With Fan Switch: What’s the Difference? 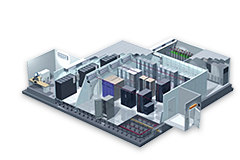 To tackle and alleviate the difficulties and inefficiencies that arise as a result of heat, engineers employ different cooling systems for network switches to transfer heat. 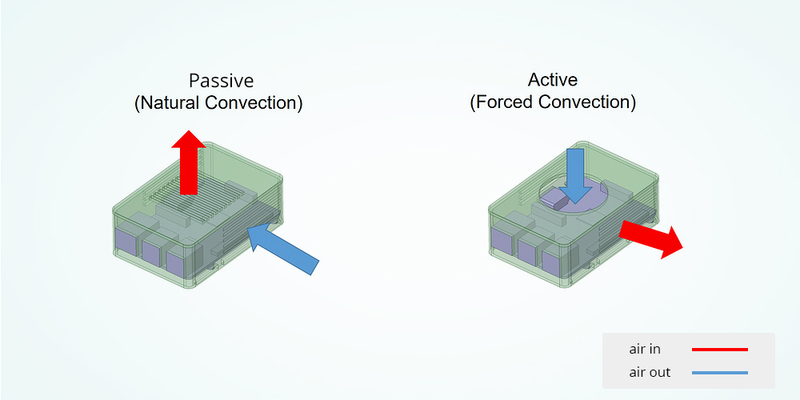 These systems can be divided into two main categories: passive cooling system for fanless switch and active cooling technique for with fan switch. So what is the difference between them? The advantages of passive cooling techniques lie in the energy efficiency and lower financial cost, making it an astute systems design choice for the thermal management for electronic products such as switches, televisions, laptops, etc. Passive cooling achieves high levels of natural convection and heat dissipation by utilizing a heat spreader or a heat sink to maximize the radiation and convection heat transfer modes. Without fans, it is natural for people to worry about the overheating of such switches, and this is where a heat sink plays its role. Relying on heat sink, passive thermal management is a cost-effective and energy-efficient solution for switches to maintain optimal operating temperatures without causing much noise. Active cooling, on the other hand, refers to cooling technologies that rely on an external device to enhance heat transfer. Through active cooling technologies, the rate of fluid flow increases during convection, which dramatically increases the rate of heat removal. As for a switch, a fan is that external device which is integrated into a switch to bring force air when natural convection is insufficient to remove heat. Except for the unpleasant noise, the main disadvantage of this active thermal management is that it requires larger power consumption and therefore results in higher costs, compared to passive cooling. Do You Need a Fanless Switch or Switch With Fan? 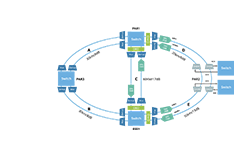 For people running one or several data centers, it may be inevitable to deploy switches with build-in fans. That’s because, the switches emanate so much heat especially when running near to their full capacity. So, if one has multiple network switches locked up into a rack along with many other active devices in a data center room, the environment might be pretty heated up as each of them generate considerable amount of heat. Fans help cool various over-heated components within the network switch, and hence they are important in such scenarios. However, not all of us have a separate data center room for switches. For those small business or people working at home, all they need may be a small desktop switch, which is just placed near the computer or desk that someone is working on. In such a case, people may get distracted or uncomfortable due to the constant noise produced by the switches. In many small offices, there is only one switch that is kept within a rack or even outside the rack and constant noise coming from the fans running within this switch might be disturbing to everyone around the switch. Also, for places like home and library, where a good amount of silence is expected, a quiet fanless switch can be very useful. 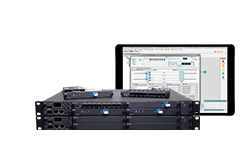 For network switches, switches with build-in fans are more prevalent than fanless switches due to its wide application in data centers. Many vendors have provided various type of switches at different prices for customers to choose, ranging from unmanaged switches, smart switches to managed L2 and L3 switches, etc. 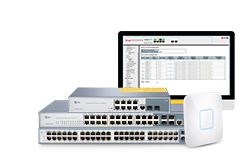 Customers can select the switches freely base on speed, numbers of ports, and POE versus non-POE. For with fan switches, such as FS S5800-48F4S, the fans can be designed as pluggable also. Compared with build-in fans, pluggable fans are more flexible with hot-swappable fan modules for replacement in case of a failure occurs. Since fanless switch is mainly designed for SOHO/ SMB/ High-end Home applications, the market is relatively small with a limited choice. 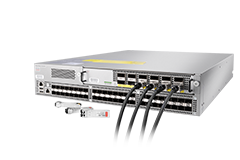 These silent switches come in various sizes ranging typically from 5-ports to 24-ports at a gigabit speed (10/100/1000 Mbps). 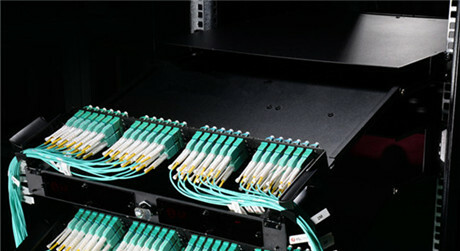 These ports may be a combination of SFP/SFP+ slots for fiber connectivity, but more commonly they are copper ports with RJ-45 connectors on the front, allowing for distances up to 100 meters. 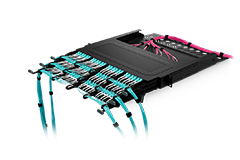 With Fiber SFP modules, you can go distances up to 40 kilometers. 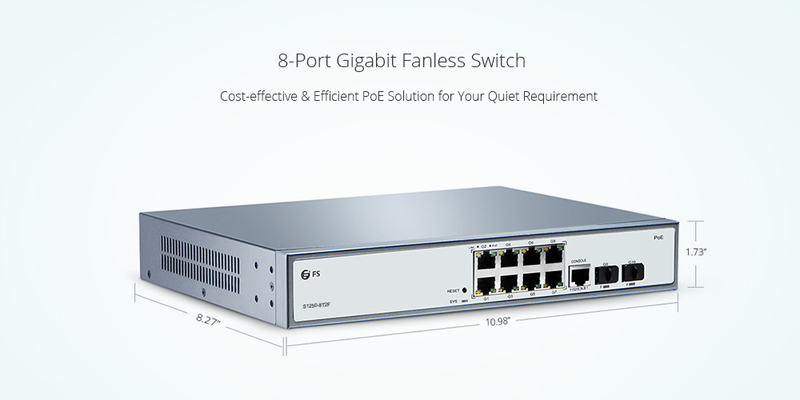 Although the function of POE is not very common for fanless switch, 8 port gigabit fanless POE switches can still be found on the market. 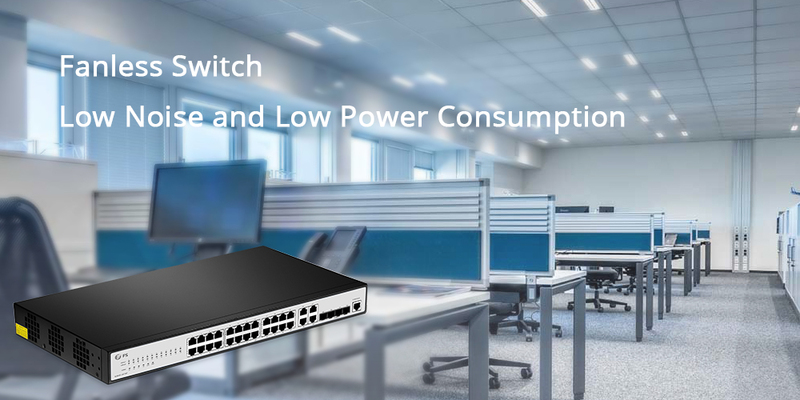 Although some people have already succeeded in dismantling the network switch to disconnect one or two fans and finally got relieved from the noise, you still cannot deny the fact that fans exist in switches because they are needed. So you should probably think twice before making that decision, which might damage some of the internal connections or circuitry of the switch. Besides, for most vendors, this will make them ineligible for any warranty claims later on. 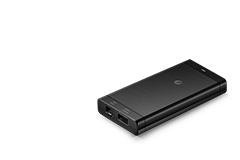 If replacing the switch with fan is an option, why not consider buying a silent fanless switch, which will not cost you much while give you a really quiet environment in return.